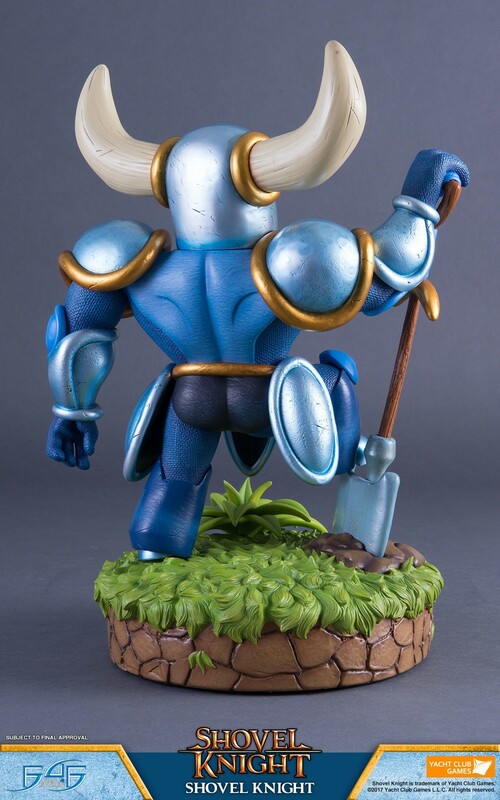 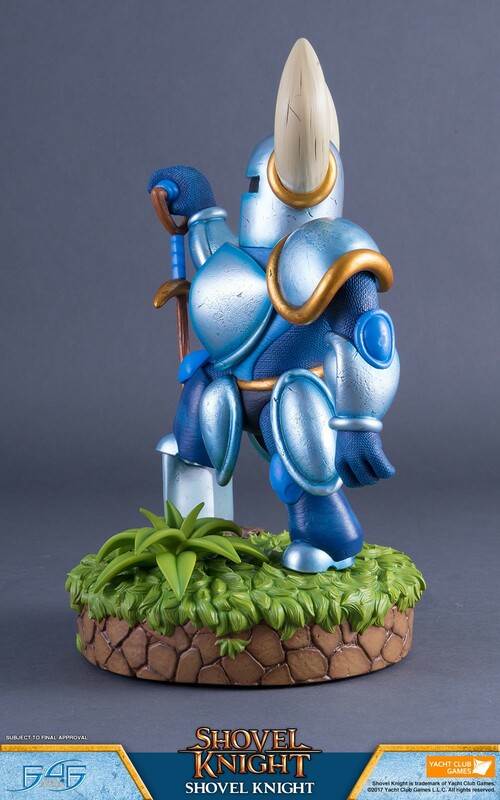 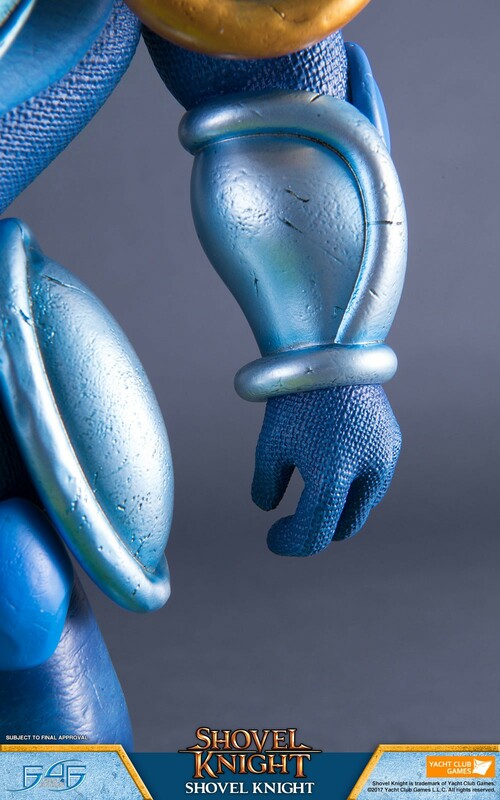 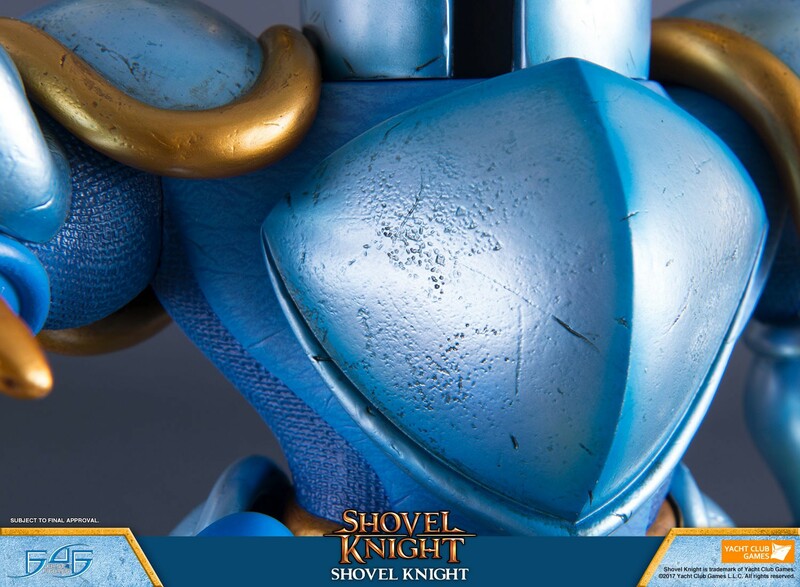 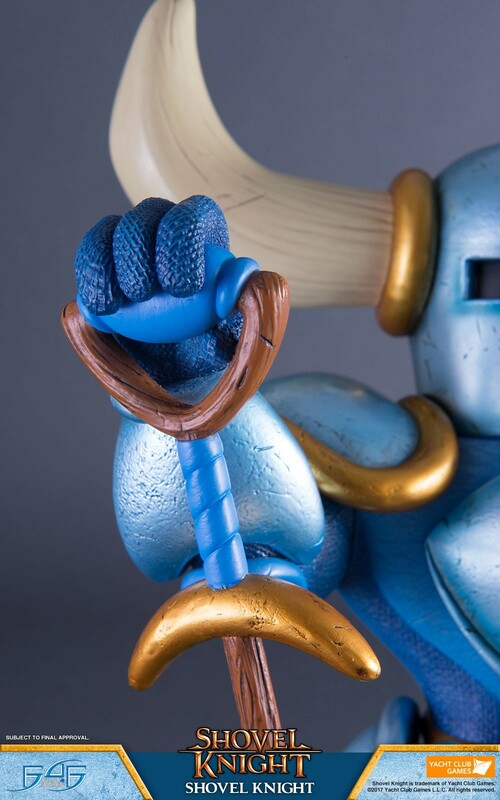 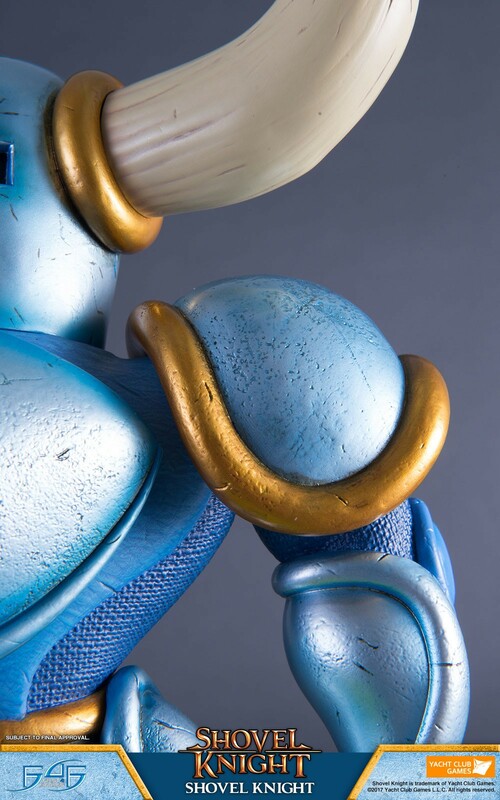 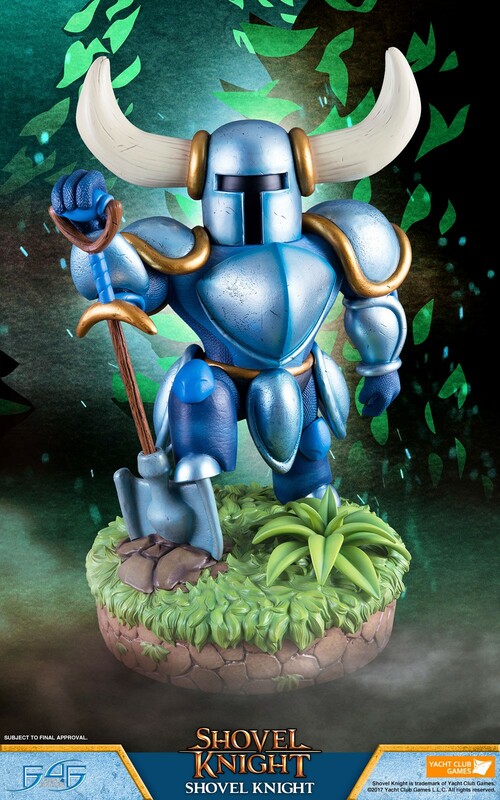 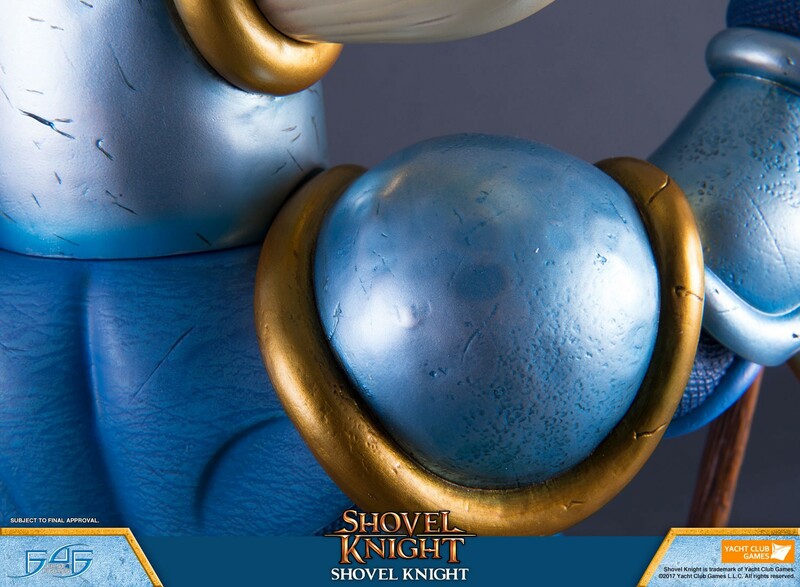 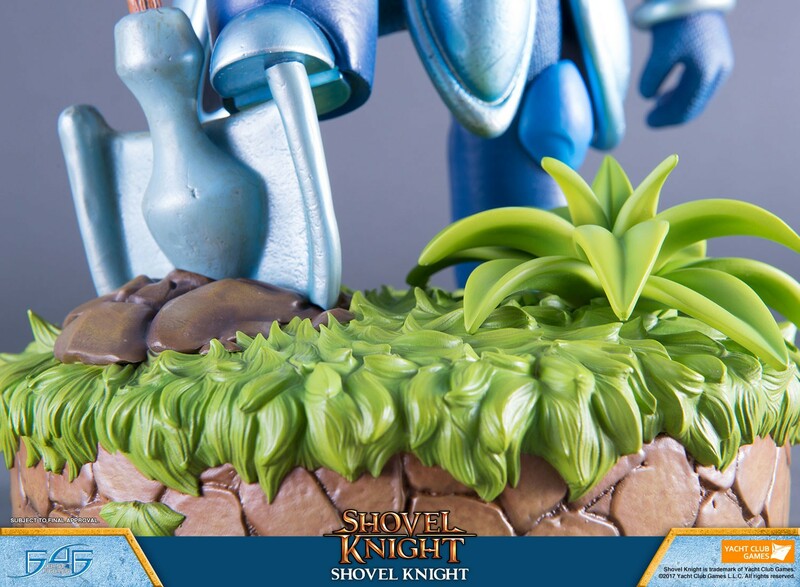 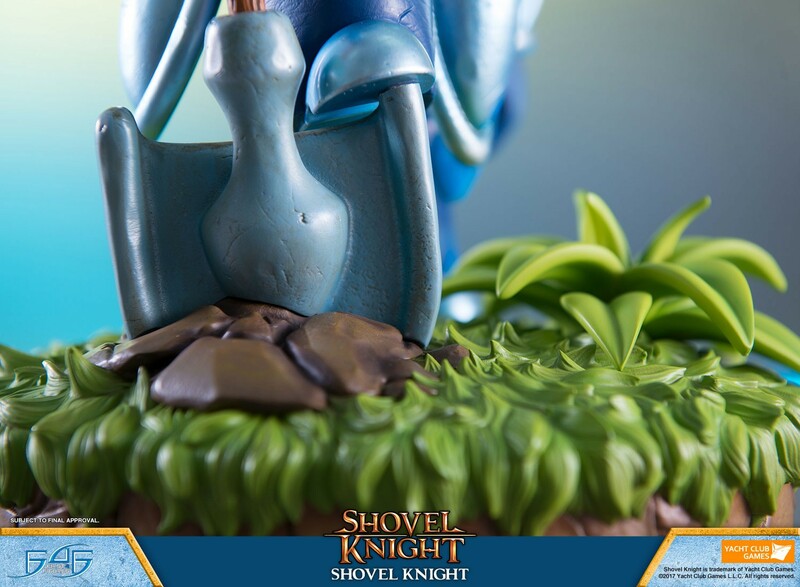 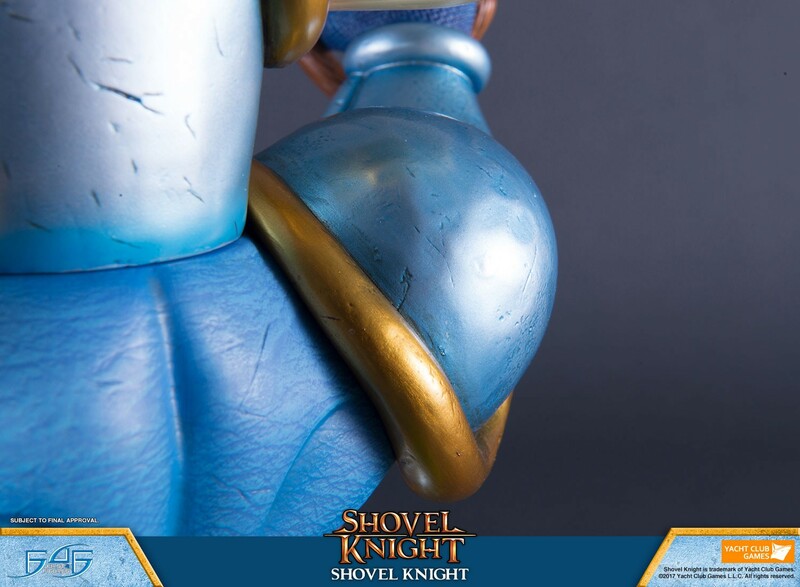 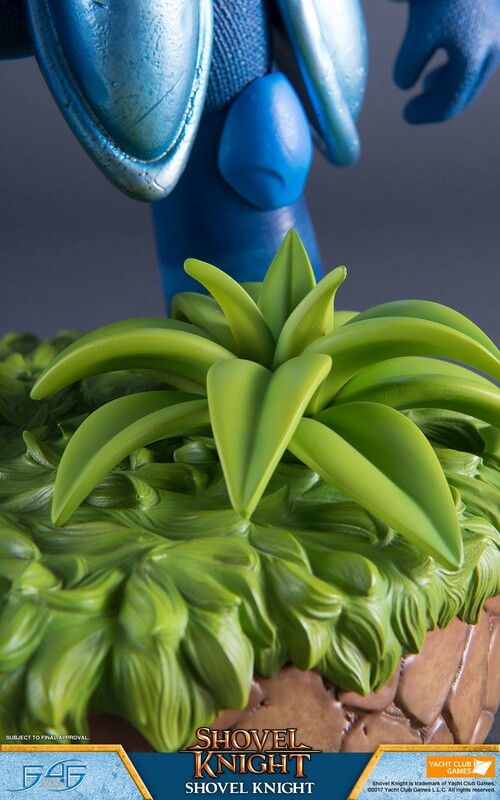 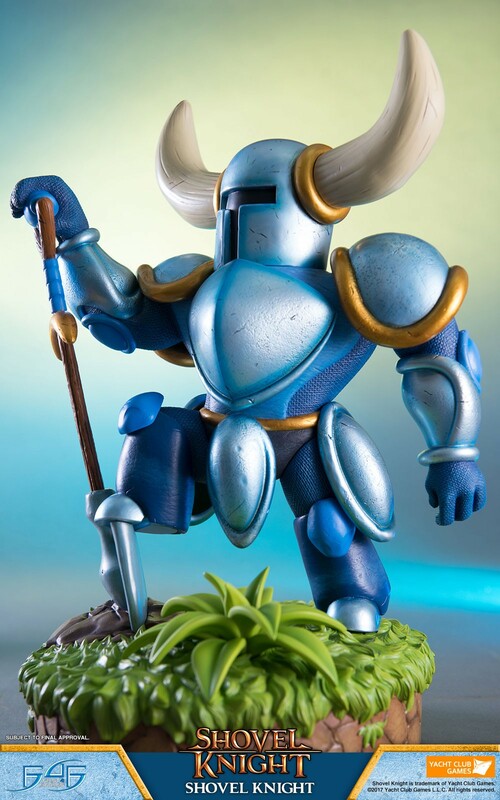 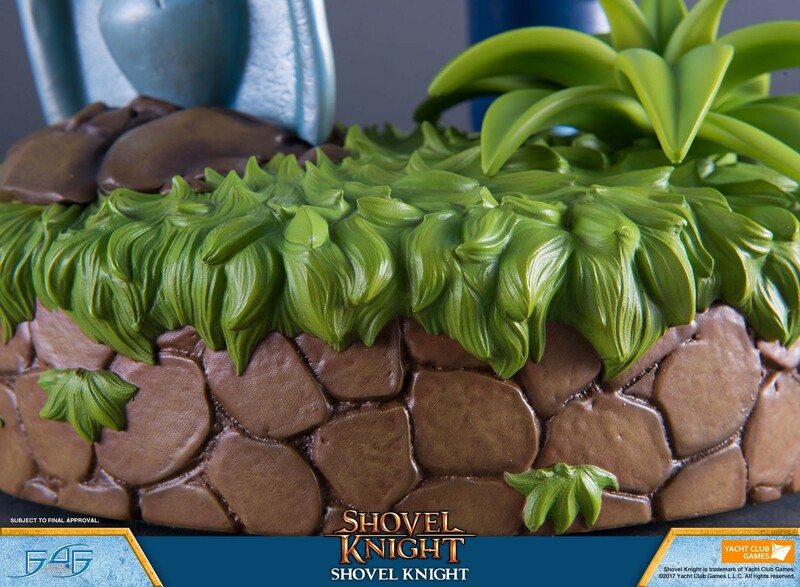 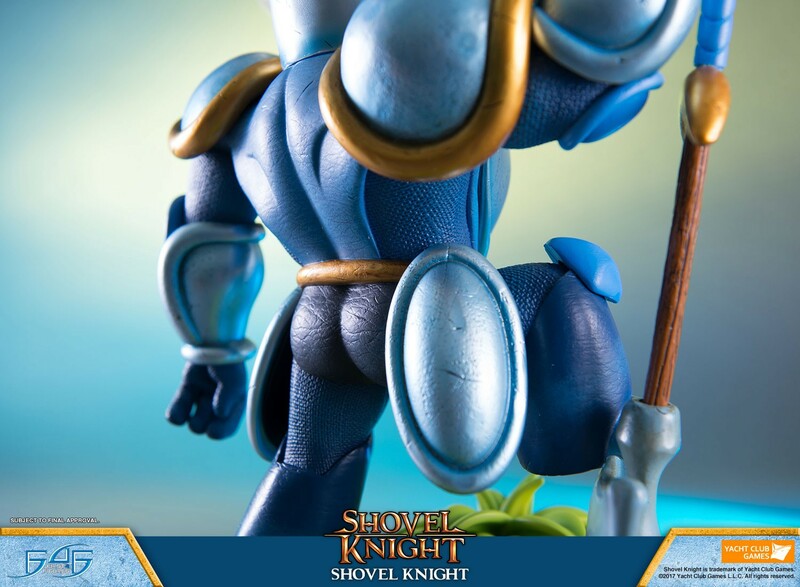 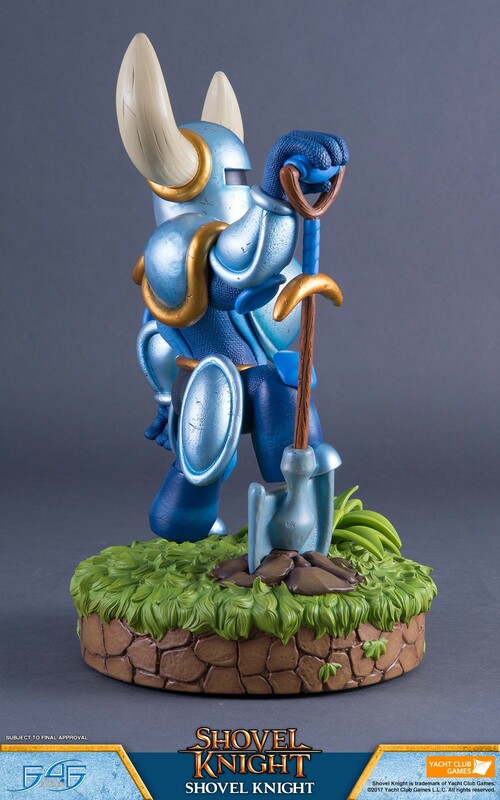 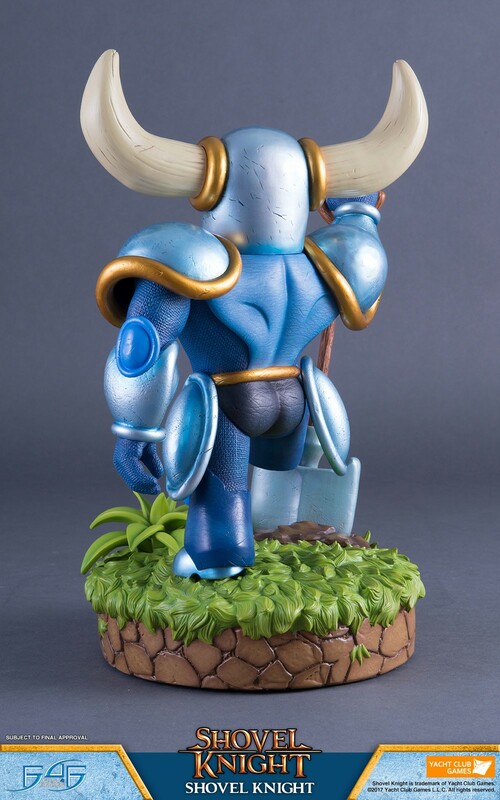 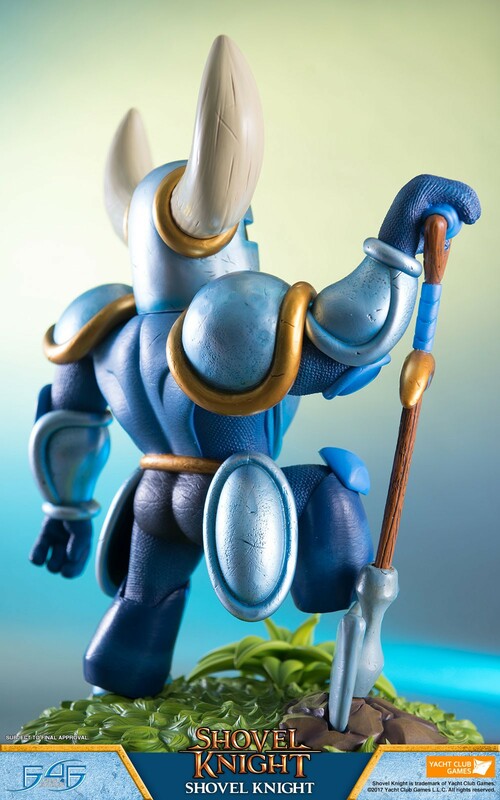 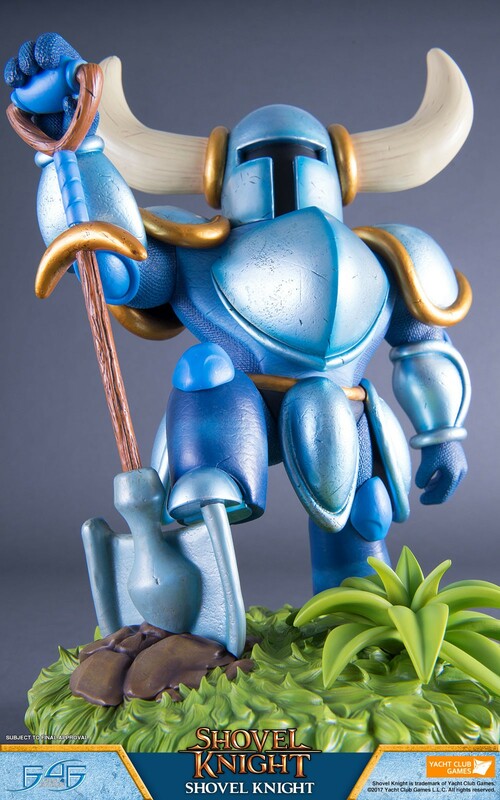 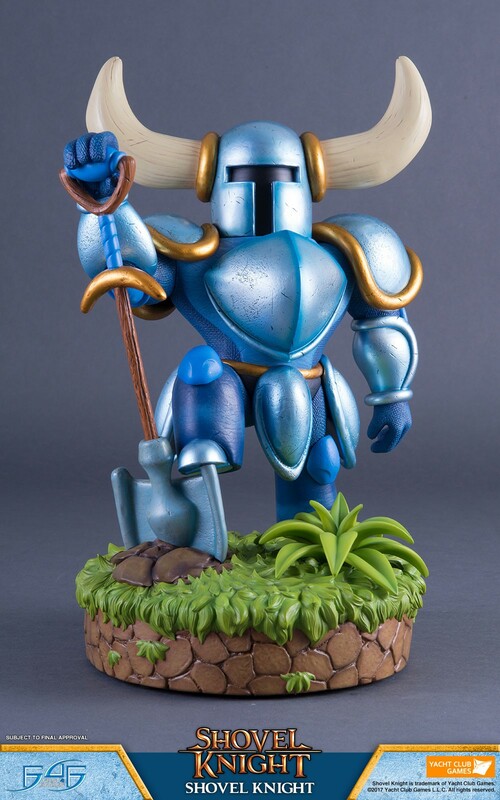 First 4 Figures is proud to present the highly anticipated Shovel Knight - Shovel Knight. 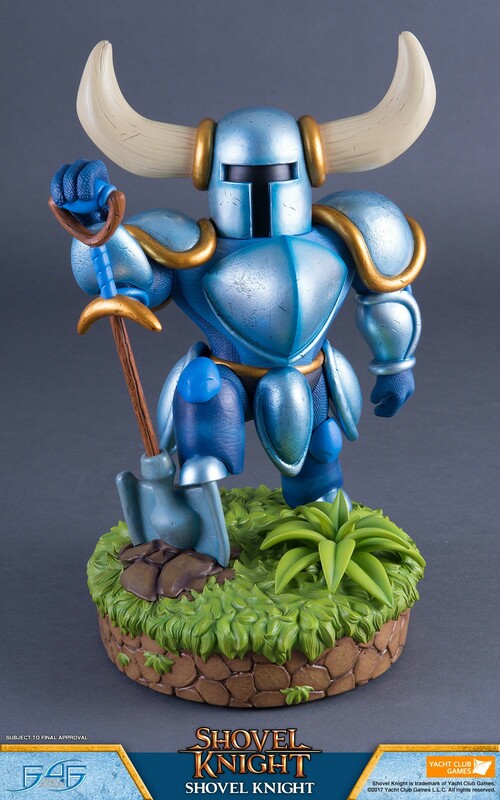 "I will NEVER give up on you. 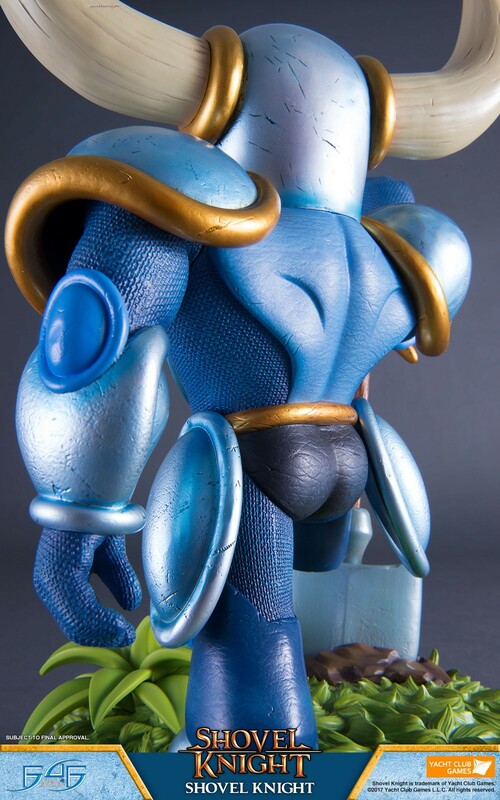 I will follow you to the end of the world." 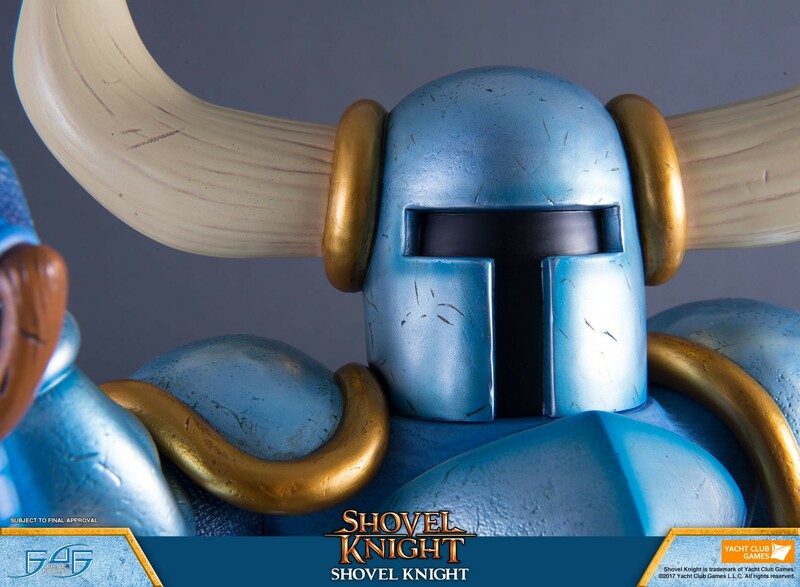 Usually wearing light blue armor, Shovel Knight is the main character in the game. 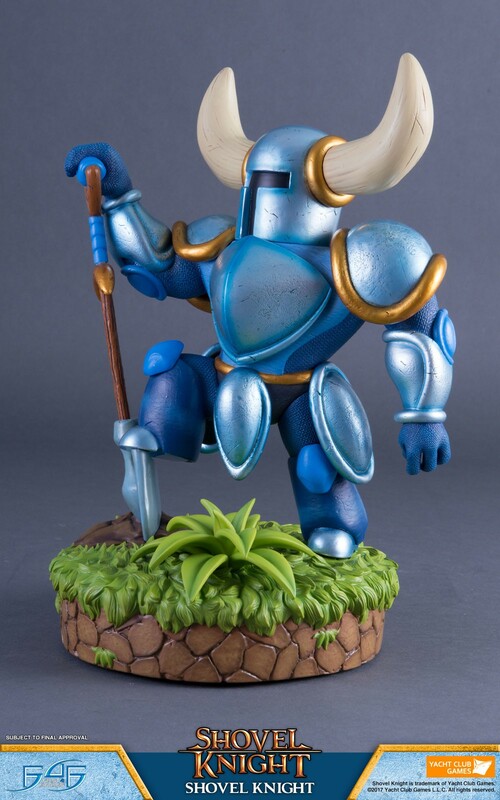 His main focus is to find his beloved Shield Knight who is lost to the Tower of Fate and to stop the Enchantress from taking over the Valley. 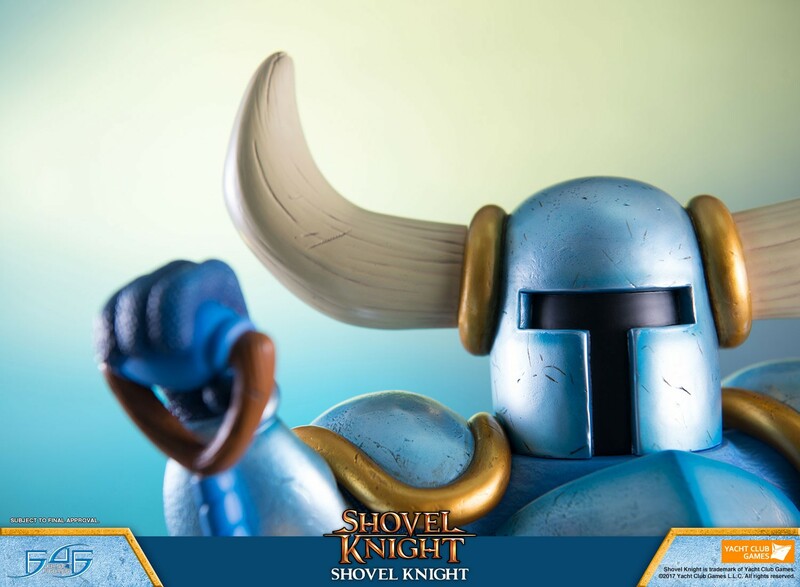 As a practitioner of the ancient Code of Shovelry, Shovel Knight lives by the creed of: Slash Mercilessly and Dig Tirelessly! 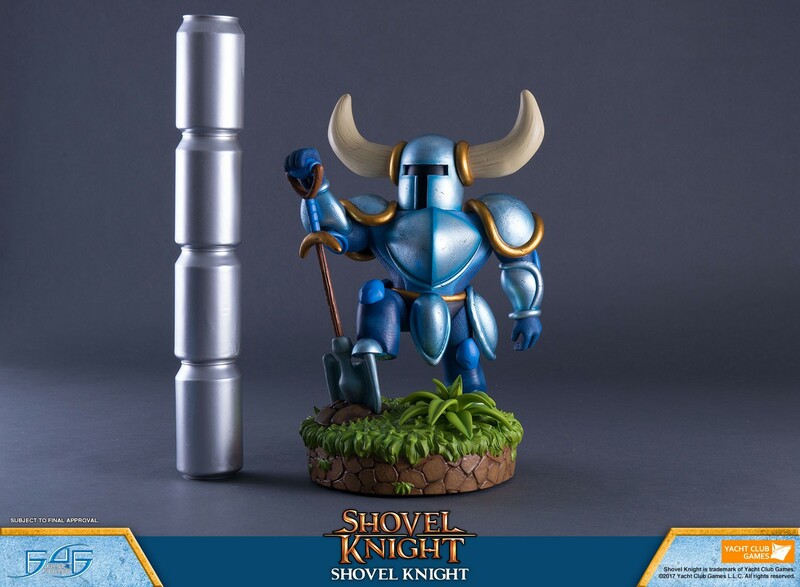 Even with his small stature, he has won many battles by using his quick thinking and ingenuity. 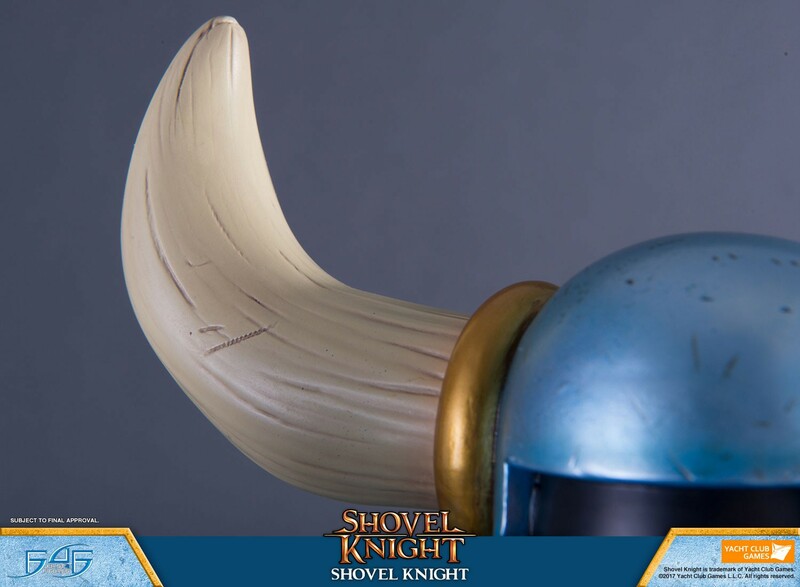 With his trusty weapon, the Shovel Blade, Shovel Knight can do almost anything. 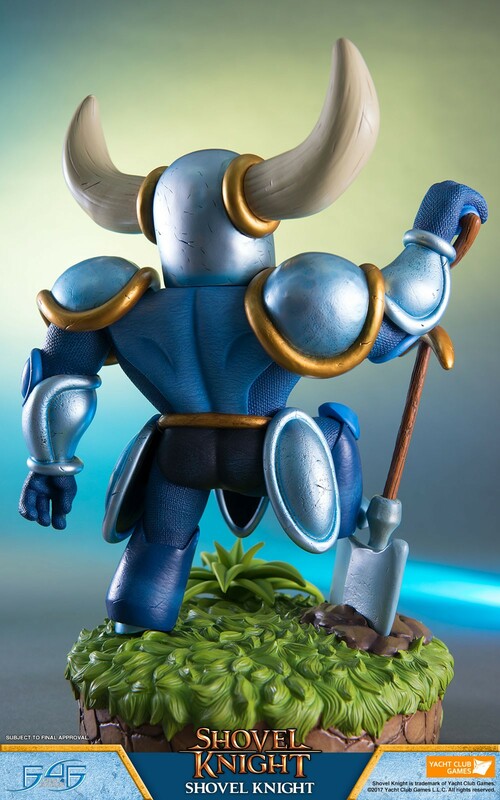 During his journey, Shovel Knight aids the many people he meets such as the Bard and the King of Pridemoor Keep. 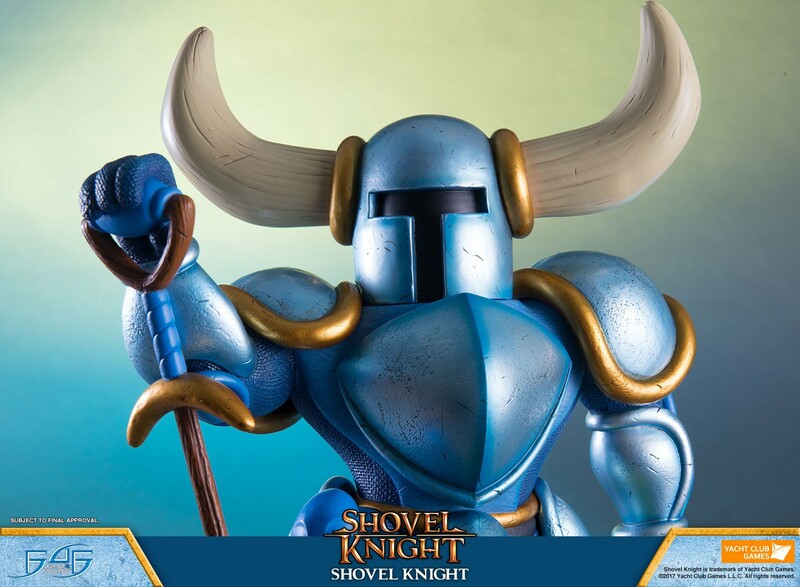 Along the way, Shovel Knight constantly dreams of Shield Knight where he fights imaginary enemies while attempting to catch her. 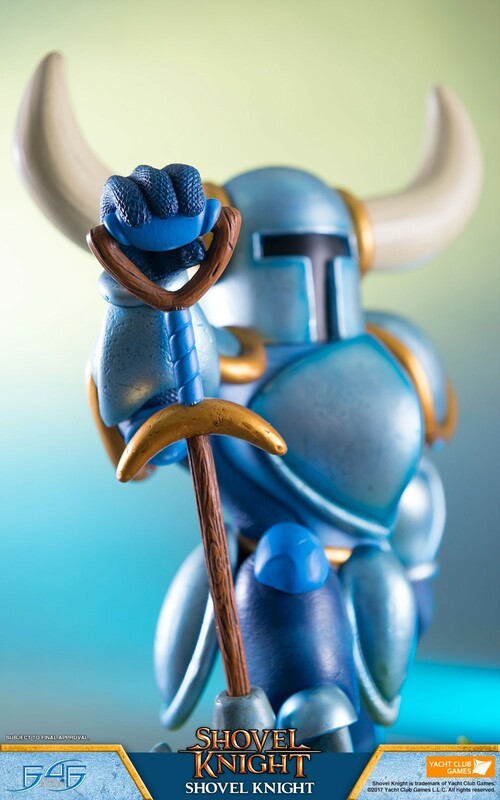 NOTE - You must come back to the website on 19th December 2017, log into your account and VALIDATE your order to confirm your chance of a low number.